a little bit windy and snowed quite a bit towards niaght it is pretty cold this is a real cold day April 9 1913 a fine? day got along fine, in my? 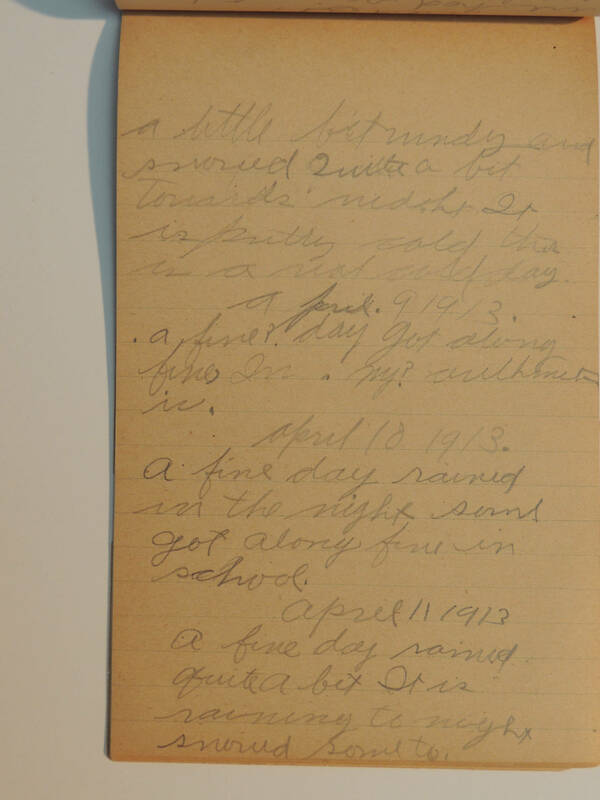 arithmetic April 10 1913 a fine day rained in the night some got along fine in school April 11 1913 a fine day rained quite a bit It is raining to night snowed some to.